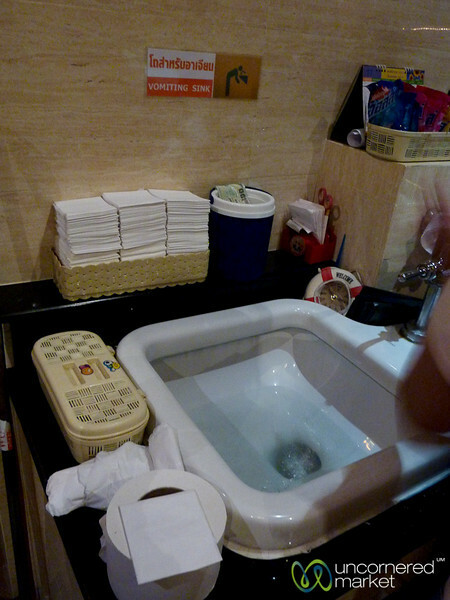 The women's bathroom at Tawandang Brewery and Restaurant in Bangkok features a vomiting sink. Never come across this in our travels. Fortunately, no one needed to make use of it when we were there.